It is pretty thick and gloppy, because I didn't want to put my ash through a fine sieve - I like irregular, splotchy, runny glazes that are interesting to look at! But the interesting thing is that it goes onto the bisqueware really thick - like 1/8" or more. Thankfully it doesn't run too much, so you can get away with this. The glaze is very rough and craggy, and very matte. 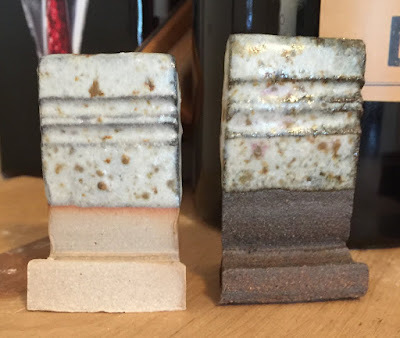 Curiously, the glaze seems to break black on the sharp edges on the B-Mix tile. 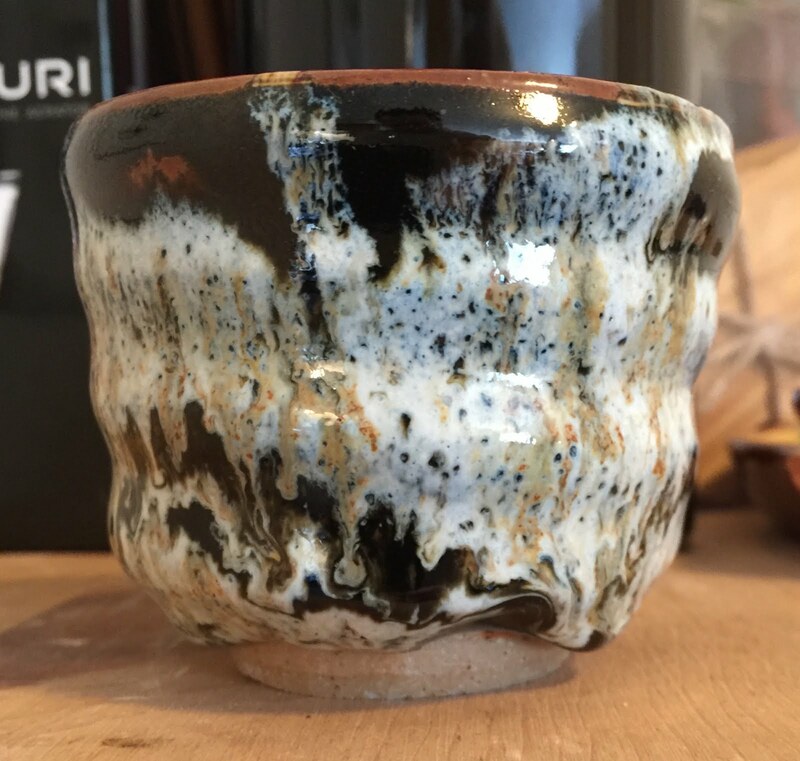 Nuka and Tenmoku are a classic combination, and this glaze certainly didn't disappoint in that arena! This is much more what I wanted - a nice, runny, creamy white glaze. 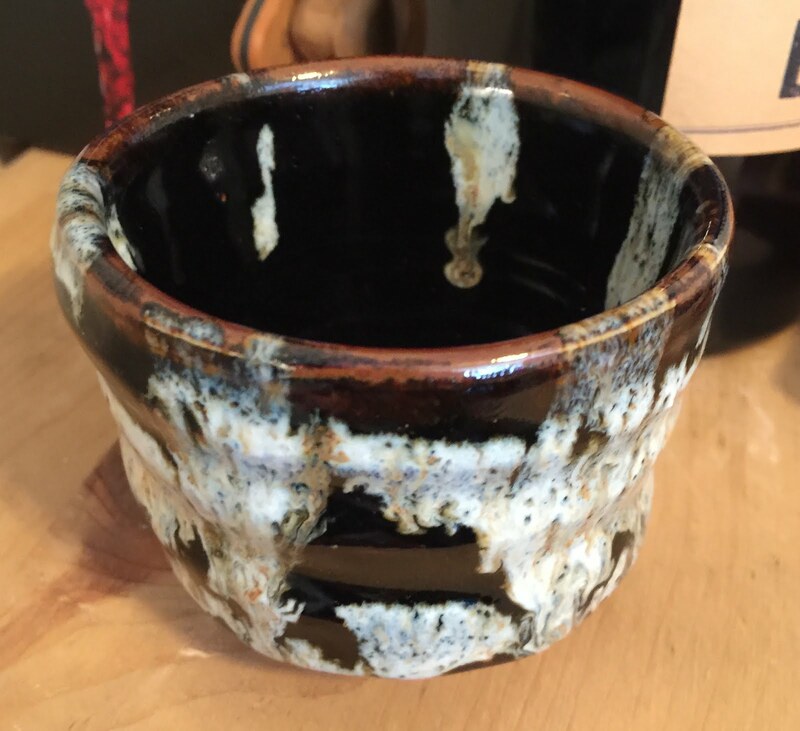 It seems that the tenmoku is just enough to flux the nuka and create a wonderful combination. 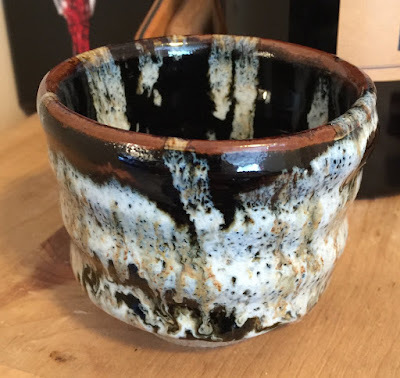 The brown flecks in the glaze are just fantastic. 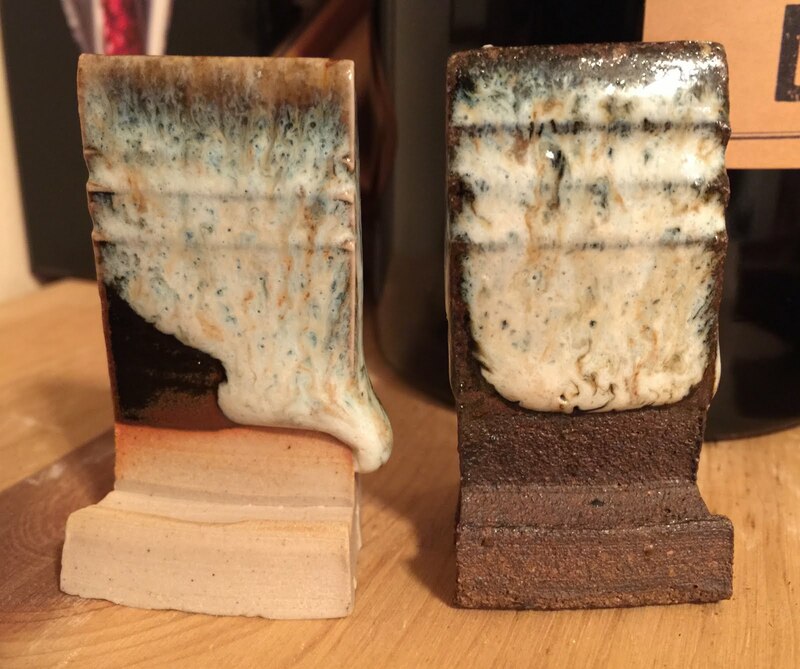 Once I saw these results, I tried the nuka glaze on a couple of cups I made, over tenmoku, of course. Here are a few more pictures of the best one. Of course, I will have to keep refining these glazes, but this was a result worth sharing!